Yasmin is a combined pill, taken for the purpose of preventing pregnancy if you are under the age of 35. Microgynon contains oestrogen and progestogen, taken for the purpose of preventing pregnancy. Cilest contains ethinylestradiol and norgestimate, taken for the purpose of preventing pregnancy. EVRA patches are an alternative contraceptive, which are applied directly on the skin. What are oral contraceptive pills? Oral contraceptive pills are a type of medication to help prevent pregnancy with the use of different types of hormones; oestrogen and progesterone. Globally, it is the most commonly used form of contraception in women and when used correctly, is over 99% effective at preventing an unwanted pregnancy. The mode of action depends on the pill, although the general purpose of the pill is to prevent ovulation. Statistics show that the contraceptive pill is more than 99% effective if taken in the correct way. As part of the menstrual cycle, a woman’s ovaries release an egg every month. This is known as ovulation. If this egg is not fertilised, the woman will ordinarily menstruate. 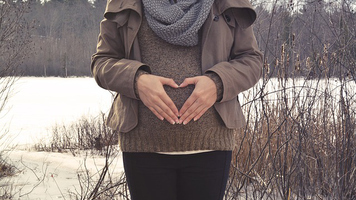 When this occurs, the woman’s level of progesterone and oestrogen will change. Depending on the type of treatment used, the contraceptive pill supplies the woman’s body with a dose of the relevant hormone in order to either; stop sperm from the entering the womb and fertilising the egg; or preventing the ovulation process altogether, thereby preventing the unwanted pregnancy. Oral contraceptives should be taken at a convenient and consistent time each day. They provide continuous protection against pregnancy, however, offers no protection against sexually transmitted diseases; and so further sexual protection is advised. There are three types of contraceptive pill. The type of contraception that is prescribed will depend on the health and lifestyle of the woman. If the pill is not suitable, or applicable, there are a number of alternative prescription only contraceptive solutions available to women. Combined Pill; the combined pill contains synthetic versions of the hormones oestrogen and progesterone and works by stopping the process of ovulation. Mini Pill; a contraceptive pill which contains only progesterone and not oestrogen. This is the pill which is highly recommended for women who have a higher blood pressure, are overweight and who have a history of blood clots. Low Dose Pill; a contraceptive pill which contains synthetic versions of the hormones oestrogen and progesterone, but has low doses of oestrogen. A lower dose of oestrogen, reduces some of the side effects that may occur. 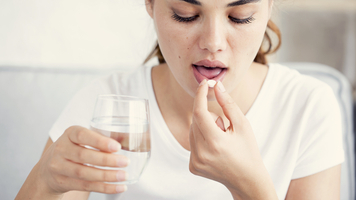 Non-pill alternatives; alternative contraceptive methods, such as patches, may be used and are recommended for those who cannot swallow tablets, or who may not remember to take a pill regularly each day. Oral contraceptives are safe to use, provided that they are taken in the correct manner, as instructed by a health professional, and by what is written on the patient information leaflet provided with the medication. Our price promise commitment means that as we match prices nationally, prices will go down (and up) accordingly. If you see or buy a treatment online and find it cheaper with a high street competitor (whether or not they also sell online), as long as their service conditions are comparable, then we’ll match that price for you or refund the difference. The cost of the treatment must include consultation charges for medication without a prior prescription. Comparable service conditions include factors such as delivery charges and timescales (such as Shutl delivery), and consultation charges. If you’ve already purchased the treatment online, please make sure you report the price match within 28 days of receiving it. If you’d like to buy the product but want us to price match first, please check that you’re providing the most up to date information you can obtain when you submit your claim. We’ll be asking you for full details of the treatment, the competitor and their prices, so please do check that you have this information to hand before you contact us. Please note though, that we won’t refund the difference in price paid if you could have bought the product more cheaply with an online-only retailer: examples of this include chemistdirect.co.uk, who sell only through their websites or mail order and not via high street shops. We also don’t match competitors who are in administration or closing down. Royal Mail Signed For™ £2.95 Usually next working day including Saturdays but may take up to 3 working days after dispatch. Orders placed on weekdays before 2pm will usually be dispatched the same day. Orders placed on weekends/bank holidays will be dispatched the next working day. Royal Mail Special Delivery™ £5.95 Special delivery before 1.00pm the next working day (not including Saturday) after dispatch. UPS Express £12.50 Next working day delivery before 10:30am (not including Saturday) after dispatch. Delivery to some postcodes in Scotland will incur a £10 surcharge. This will be indicated at checkout. Local Collection FREE Free collection from our London pharmacy. You will be notified by email when your order is ready to collect from Dillons Pharmacy, 17 Church Road, Acton, London, W3 8PU. UPS Next Day Local Collection £4.00 Collect from a UPS access point location of your choice. You can then collect your medication from your local access point at your convenience. Orders placed on weekdays before 2pm will usually be dispatched the same day to your chosen access point location. Orders placed on weekends/bank holidays will be dispatched the next working day. All treatments are sent in discreet packaging. No reference to the pharmacy or medication appears on the packaging. or select from the menu at the top. Complete a free online medical questionnaire to see if this treatment is suitable for you. Pay for your treatment using our secure card payment system. Learn more about common health problems affecting many of us every day. Our regular blog attempts to answer some of the health questions commonly asked by you. 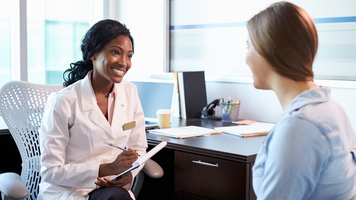 ​There is a lot of information out there about emergency contraception. But how do you know what to believe?